World Zombie Day, a day when all fans of zombie culture can join together in an international effort to alleviate world hunger. 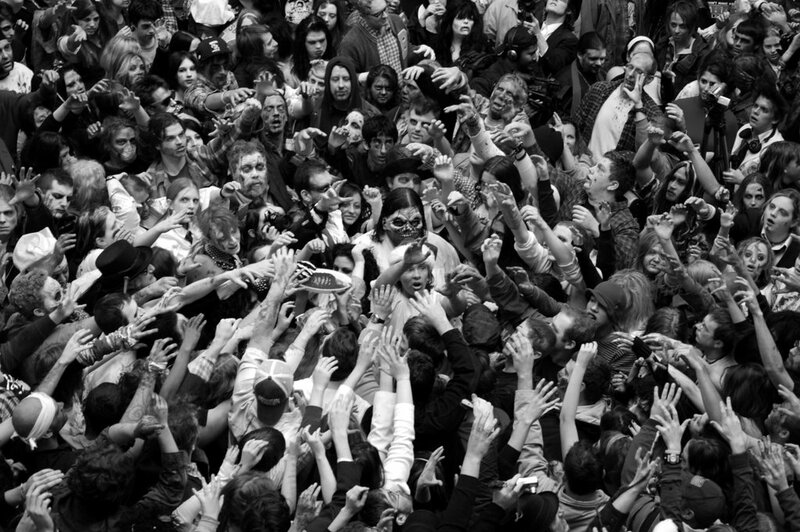 At all World Zombie Day zombie walks, participating living dead are encouraged to bring a non-perishable food item donations for local food banks. The "It’s Alive Show”, three time World Record Holders for the largest zombie walk ever, will once again spearhead this event from the very birthplace of zombie culture, Pittsburgh, Pennsylvania, USA. Zombie Walk Organizers - Please contact info@world-zombie-day.org to officially add your city to World Zombie Day and receive details on how to organize a safe and successful zombie walk in your city.